Nai Thon is a quiet beach serving just a few resorts with only a few eateries on the beach road. The beach is a beautiful stretch of sand just 1 km long with opportunities for snorkelling at the headlands either end and rocky cove's only accessed by long tail boat can be explored being great for scuba diving. A dive shop is situated along the beach road. Our luxury Phuket villas here offer a peaceful relaxing holiday away from teh crowds. Nai Thon is a quiet beach serving just a few resorts with only a few eateries on the beach road. 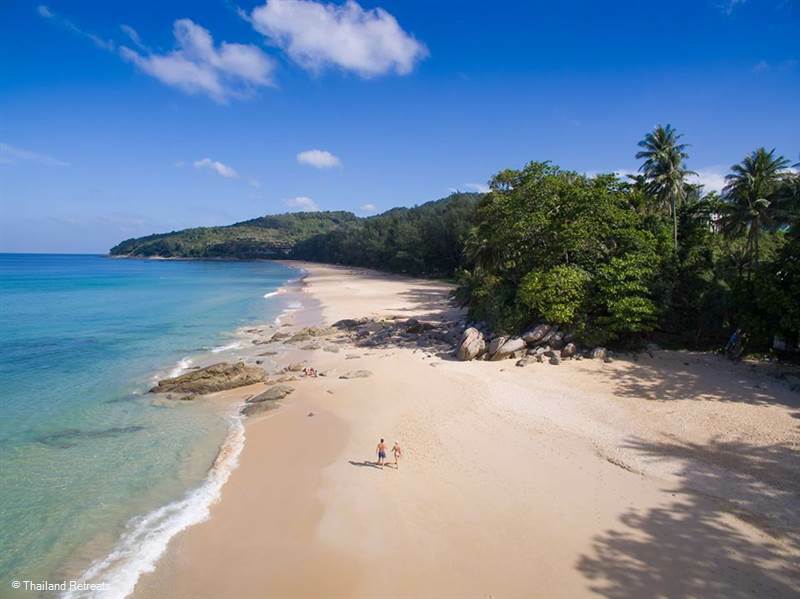 The beach is a beautiful stretch of sand just 1 km long with opportunities for snorkelling at the headlands either end and rocky cove's only accessed by long tail boat can be explored being great for scuba diving. A dive shop is situated along the beach road. Unlike the other more popular beach in Phuket, Nai Thon beach is a quiet beach, unspoit and relatively untouched, located south of Nai Yang Beach and just north of the smaller Nai Thon Beach on the north west coast of Phuket and is a paradise for people looking for a relaxing beach vacation, away from the crowds and the hustle and bustle. There are sun beds for rent for 100 baht a day and during the high season from November to April you won’t have to get up early to find a vacant sun bed, like you have to on some of the other busy tourist beaches in Phuket. The beach is perfect, especially during the high season, when most other west coast beaches are crowded Nai Thon is relatively quiet. 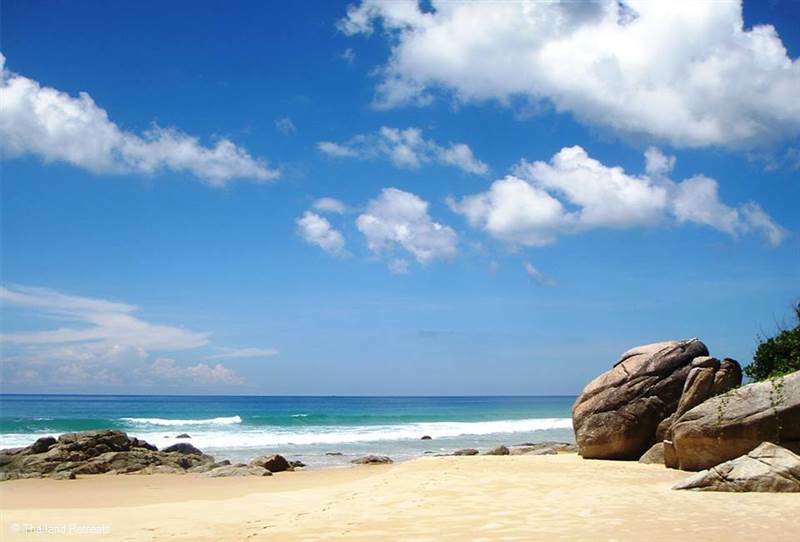 During the low season from May to October, the beach can be too dangerous to go swimming and you will find that the beach at Nai Thon is pretty much deserted during this time of the year. There is not much in the way of night life at Nai thon apart from a few restaurants and beach bars that are situated along the beach road.